The Automatic Garden is tweeting (the old fashioned way). 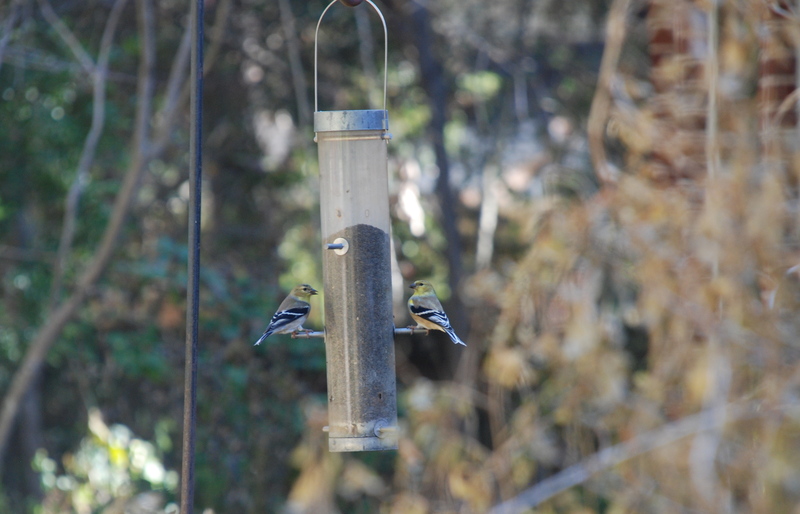 The American Goldfinches arrived around Christmas, which is pretty much right on time. There are about 20 to 30 of them, but they are very camera shy. These two were too hungry to notice a photographer. The populations of Cardinals, Titmice, Doves, Chickadees, House Finches, Sparrows and Red Bellied Woodpeckers (to name a few) has picked up. Visitors also pass through this time of year and a Vermilion Flycatcher with a scarlet underside and black top was spotted. 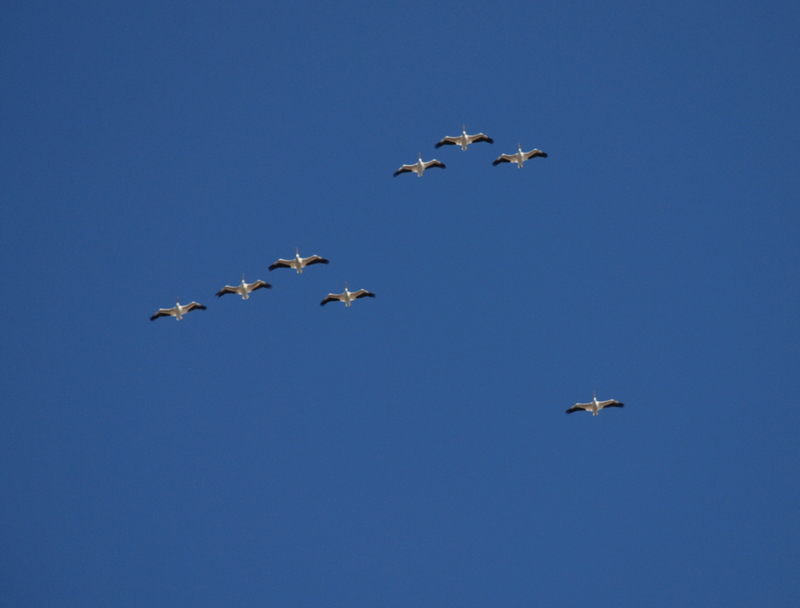 The American White Pelicans spend the winter on a nearby lake and take to the sky daily to stretch their wings. Also seen on a flyover was a Bald Eagle. There is a nesting pair on the lake and they will also stop on nearby trees in the evening. All the action in the garden also attracted some predators. A hawk chased a bird into the window and a cat has been hanging out hoping to get lucky. 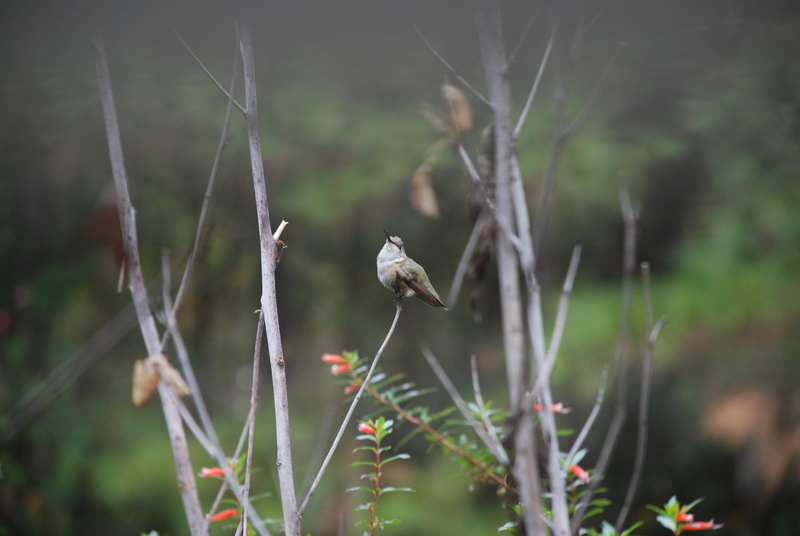 The identity of the second hummingbird was revealed while trying to snap some pictures. 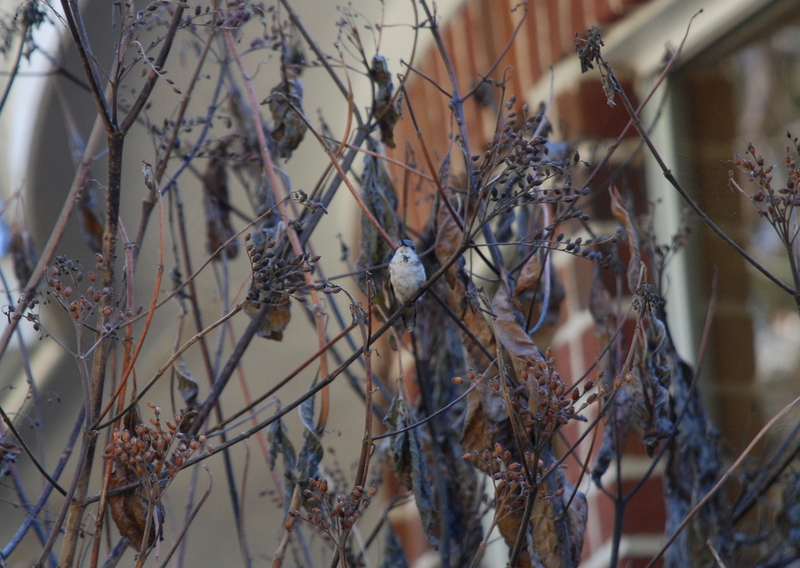 This tiny bird fits the description of a Black Chinned Hummingbird that is a female or immature male. They are known to show up on the Gulf Coast in the winter. Here is the photo from a previous post of a Rufous Hummingbird. Even though it is going to get cold again, as far as the birds are concerned, Spring is in the air!